After reading Act III, students can't wait to see what will happen to Romeo and Juliet. Will their love prevail or will their relationship end as quickly as it began? In Act IV, Scenes I and III, it is clear that desperate times call for desperate measures. Here's my approach to teaching those scenes. I don't want to kill the play, so in each act, I generally choose to read the scene with the events most important to developing the plot. In Act IV, that is the first scene. I usually choose one other scene per act to read that highlights another important aspect of the play. Act IV, Scene III is full of amazing imagery and is further evidence of Juliet's to her new husband Romeo. I provide short summaries for any scenes we skip to fill students in on the less important events. I like to spend about a week on each act of the play, so the days we don't spend reading are spent on after reading activities, writing, and a short assessment. Before jumping into this week's reading, we'll spend a few minutes reviewing the scenes from last week. I'll also introduce or review important terms. I'll introduce dramatic irony and use examples from previous scenes. I'll review cause and effect, which students can get mixed up even at the high school level. I'll also review aside and soliloquy, both introduced with Act II. I present this scene to students entirely in Shakespeare’s language, but an edited down version. The scene ends up about one page front and back, creating a script that can easily be acted out by students. Before assigning parts and having my students act, as a class we do one or two read throughs. In the first read through, we number the lines of the scene up to the number of students in the class and then repeat until each line of the scene is numbered. Then students count off and read “their” lines regardless of the character speaking. If I feel like a second read through is necessary, we number the parts rather than individual lines. Each time a different character speaks, so does a new student. Once students are comfortable with the language, I ask them to play the part of the director and insert stage directions. Where do characters enter and exit? When does Juliet reveal her knife? When does the Friar reveal the potion? Finally, I have students get up and act out the scene. I usually let students choose their parts, but if necessary I will assign them. Some students don't mind reading, but don't want to get up out of their seats, so I will sometimes have someone assigned as the reader for a part and someone else as the silent actor or actress for the part. I can get twice the number of students involved that way and draw on students’ strengths. Students who are uncomfortable getting up in front of the class can still participate and students who enjoy acting won't be hindered by having to hold a script. This scene is a monologue, so students read it independently. I include summaries of Act 4, Scene 2; Act 4, Scene 4; and Act 4, Scene 5. Then I provide the text of Act 4, Scene 3 with the original text and modern translations side by side. I edit the scene by cutting lines out. 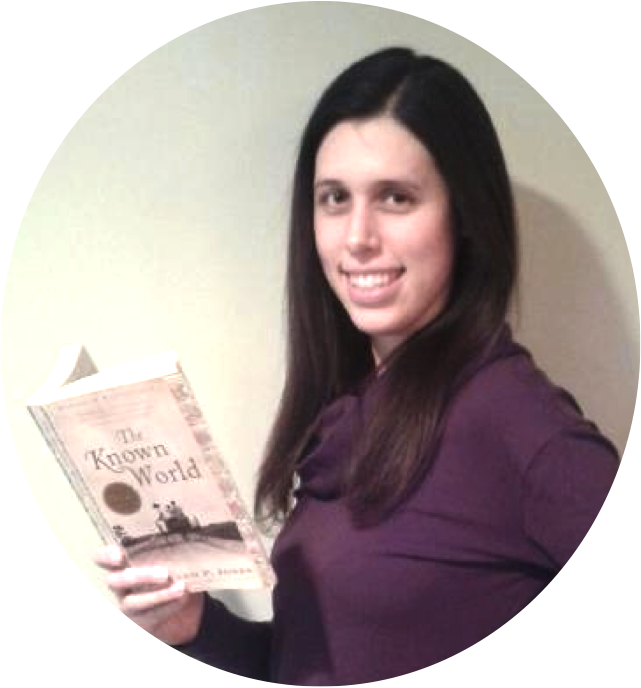 After reading, students translate words from the original to modern text, and vice versa. Then students answer short written response questions to demonstrate comprehension and identify the possible series of cause and effect of Juliet’s actions. We review this together at the end of class. While students know how the play will end, it is fun to think about the "what ifs." We use Juliet's monologue from Act IV, Scene III to begin listing all of the possible directions the storyline could go and the events to which those directions would lead. Students choose one possibility about which to write a creative end to the play. I love seeing how they incorporate unexpected characters and create twists in the plot. At the end of the week, I will give students a choice of two constructed response prompts, one connected to each of the scenes on which we focused. This is a chance for them to independently express their understanding of what we read, practice citing text evidence, and continue to build on their writing skills in general. I also assign a text based assessment, which covers Act IV. The assessment includes a section of Act IV and ten multiple-choice questions. Questions ask students to analyze characters words and actions and paraphrase important lines. 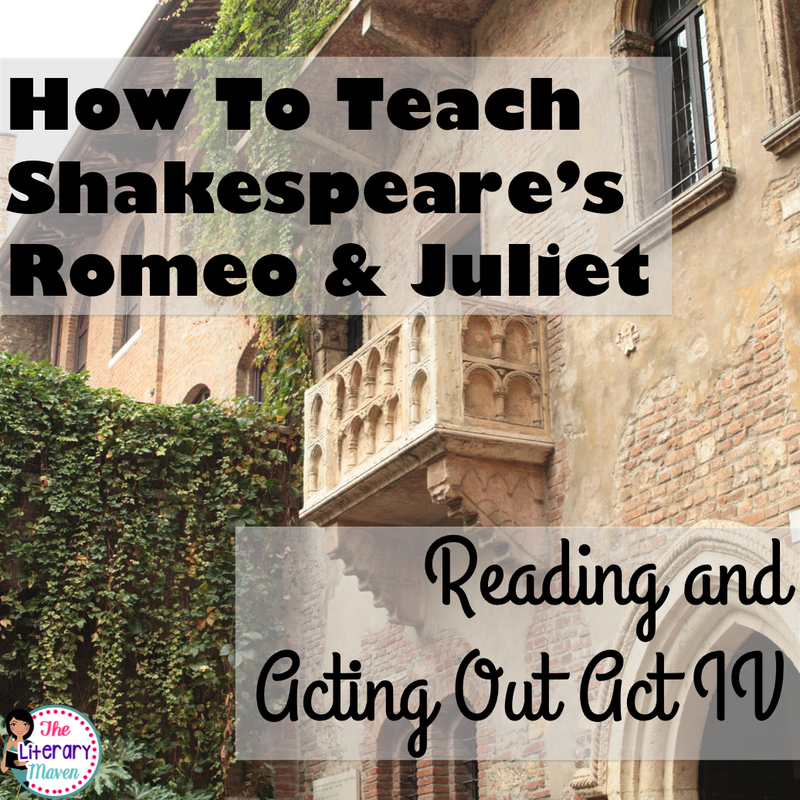 You can find all of my resources for teaching Romeo and Juliet, including the materials described above that I use to teach Act IV, here. Read on for my approach to teaching Act V of Romeo and Juliet.